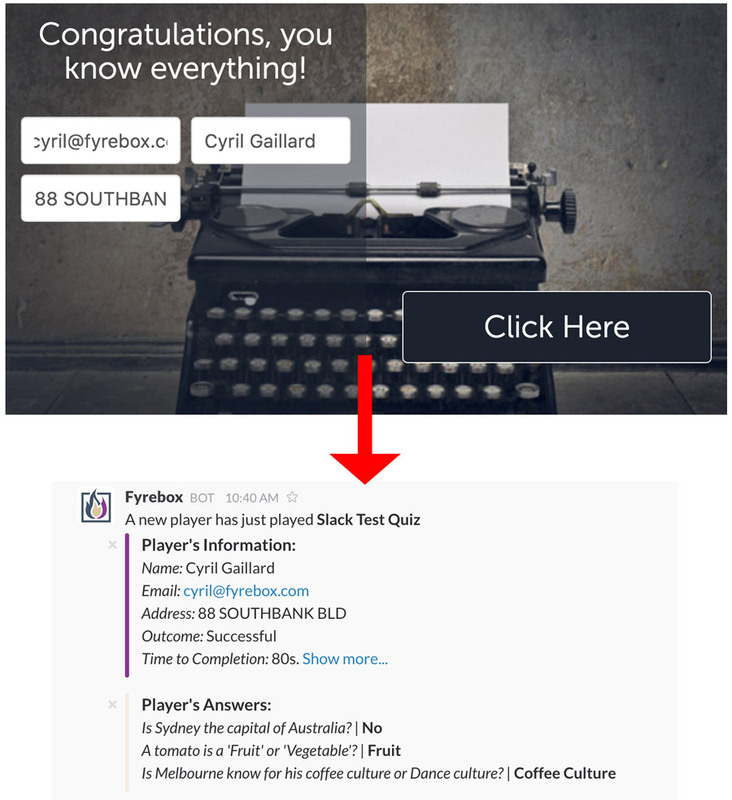 If you use Slack as your messaging system, you can use the Fyrebox – Slack Integration to receive a report on a slack channel every time your quiz is played. When you install the fyrebox app on Slack, two sets of tools are added to your slack channel. 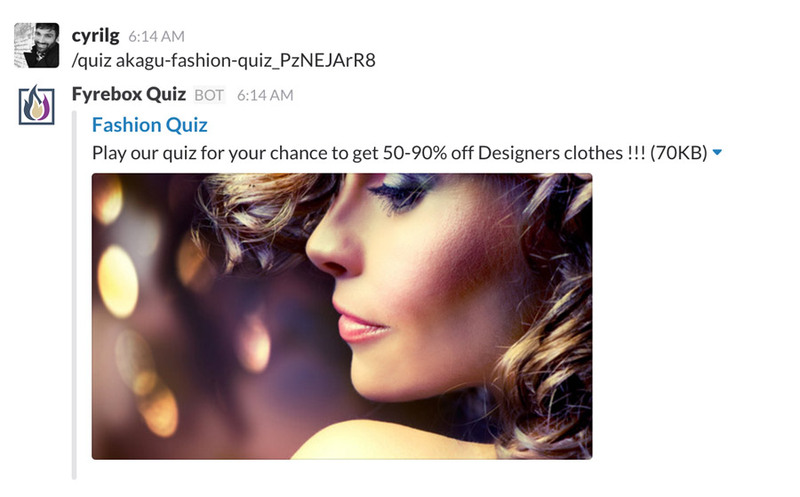 You can find the quiz slug on the Publish page of your quiz. 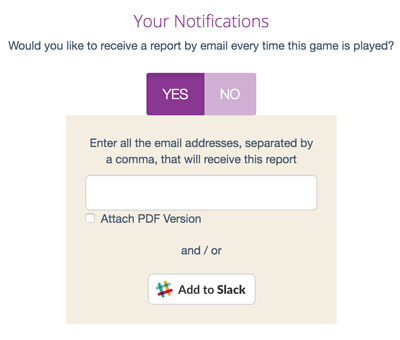 The next screen will be the authorisation screen where you can select the channel to send the player’s profile to. Select the channel and click on “Authorise”. 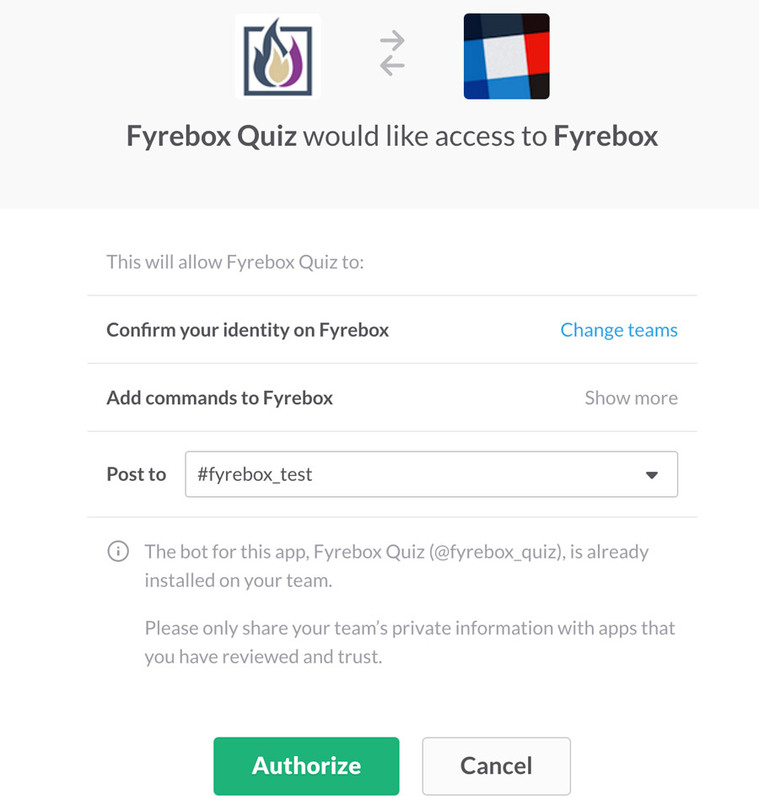 Upon authorising fyrebox, you will be redirected to the edit page of your quiz where the slack channel will be displayed in the notifications section.